Several years ago, when I was middle-aged, and was much more often than now, going to restaurants and indulging in probably unhealthy foods, eg. baseball park hot dogs., (to mention one). As an elderly woman I've found that my digestion and general health continue to be satisfactory. I know that in this country, much of our food, including healthy produce, greens,etc. is tainted with pesticides, and that our processed foods are loaded with non-food items, chemicals,etc. Pectasol, so far, has been working well for me. For years, I've been using this product (Pectasol Detox Formula) to keep my digestive system clear of any problems. And it certainly does just that! It is easy to take, no side effects, does not interfere with your lab work, helps you to be regular, and feel better. Gives you peace of mind, that you are getting rid of lead, mercury and pesticides. You feel better afterwards. Was told that I should detox my liver. I have been having messy stools and it was not the right color it should be. I bought 3 month of this detox. Within a week my stool was more solid and the color was a good color according to professionals. I will continue to take the full 3 months worth. So many things you take you don't see a difference at all and you don't know if they are really working or not. Anyway I like this product. I have taken PectaSol Detox Formula for many years and have had no problems resulting from doing that. However, in regard to whether or not detoxification is happening, I do not know. Two physicians still recommend that I take this product. I recently stopped a thyroid supplement to get an accurate testing on my thyroid. I felt dead and polluted. I started Pectasol D and I felt immediately more energy and less frustrated/toxic. Pectasol D is a good product! I have been using these products for years now, it has been very beneficial to me for my overall health. Every human should be on this product, illness would be greatly reduced!!!! I am actually a repeat customer. It is effective. I also want try their other products. I highly recommend this product for healthy detox and toxic remover in your system. I have a Dr who practices muscle testing. I take my supplements in to be tested to see if they are right for me. When he checked PectaSol he couldn’t believe how good it was. Said keep taking this one! This is an excellent product to detox your system of heavy metals as part of a chelation protocol with minimum side effects! If your male this product has beneficial effects on your prostate! I have taken this supplement since 2008 because of illnesses caused by toxins in office environment and the building (3,000 employees). The ceiling air ducts were circulating black mold/spores that caused dizziness, digestive issues, brain fogging and breathing issues. Within 30 days of taking supplement there were improvements in all areas of functionality. After 5 years of usage, doctor recommended continuing treatment/supplements throughout my life (endless toxins all around us). I'm not sure it works but I take it on and off for prevention purposes. Prevention is worth a pound of cures! I know this product is doing a gentle detox for my body. Blood Mercury levels have been returned to safe range! I HAVE BEEN TAKING THIS PRODUCT NOW BY TWO YEARS AND I CAN TELL ANYONE THAT IS WORKING EXCELLENT. MY HAIR TEST HAS SHOWED A SIGNIFICANT REDUCTION IN HEAVY METAL , LEAD, MERCURY, ARSENIC AND LESS BUT, A REDUCTION ANYWAY, IN ALUMINUM. THIS IS A GREAT FOMULA. I have been taking PECTASOL for the past five years and am very pleased with this product. I believe it is removing toxins from my body and keeping me healthy! I can't say that I noticed a huge difference in how I feel but I do like to take this product periodically because I know it works as advertised. I have been taking PectaSol Detox the the last few years and It has been working Great. My right shoulder seperation pain is almost totally gone away & I am feeling good since my pain in my shoulder has decreased enormously. I will continue using it & I am sold on this supplement. Thanks so much for this Great Supplement. Pecta-sol is a gentle and easy way to de-tox on a somewhat regular basis. It seems like a great product for helping kids with de-tox for the same reasons. Ih ave used Pecta Sol for Years and I feel pleased with it. Pectalsol seems to have helped with bulking up loose stool. Haven't been on it long but seems to be helping. will order again. I have been taking Pectasol for over 10 years having never missed a day. I have no stomach issues and I love the fact that it is a natural solution to Detox. I take a wide range of other supplements and if I had to pick one it would be Pectasol. Thank you for a wonderful product! I was amazed by how much better I felt when I started taking Pectasol. I had an incredible amount of energy right away, and that says a lot because I'd begun to be tired no matter how much sleep I got. I got such great benefits that I plan to take a maintenance dose every day. I only started taking PectaSol Detox Formula a few days ago but I do think my skin has improved. I also think my stomach feels better. As time goes on I believe there will other positive signs of improvement. I had the misfortune to have a condo flood - took forever to get repaired properly due to HOA. Consequently, had months of exposure to 3 types of mold ( per mold expert tests). My blood turned BLACK, wounds would not heal, problems with memory/brain function - terrifying in retrospect! Doctors were NO HELP! Found Pectasol - took it daily for a year or more, still take it and blood pretty now, no sores, brain, etc OK!! Great product! More doctors need to learn about this rather than shrug shoulders and say mold is everywhere! I take this because I've had many silver fillings, so many that I have a piece embedded in the jaw bone and tattooing on my gums. Because I need to be Gluten free many products have rice so I'm at risk from the arsenic. I believe that this products with both of these major concerns. Since I began taking this product, I feel as though my digestion has improved. Sleep better, improved well being, in general have a more positive atitude and that is probably the best thing over all. I use this first thing every morning with a glass of water. After getting a tick bite that tested problematic, then a second test was clear, I felt this was what helped clear the poison from my system. I was tested by a naturopath doctor for the need to detox, and I am grateful for the above rather than pay $150. for 24 IV treatments over an hour from my home. This is the first time my lab report has come back clear of mercury! Works fast and no side effects. I am so impressed and happy with this product that I intend to stay on the maintenance plan. Excellent product. Excellent. I take it every morning on an empty stomach. It is a lifesaver. I am an elderly lady (86) and glad I tried this supplement. It has helped so much with the aches and pains we have at this age. There are hundreds of supplements advertised every day. I have been using your PECTASOL for about six months. I take your PECTASOL every morning and am so thankful I heard about it and purchased it. It’s well worth the price. I have heavy metals (lead & mercury) and will be retesting in June 2018. Hope to see a great improvement. also I cant afford to test my heavy metal load, so I wont know for sure. Over 2 yrs ago I had a heavy metals test of 6 metals, some time after taking 3 bottles of Pectasol, & it showed none of the 6 present. I believe it has reduced the toxins in my system. I feel better and better. My wife also uses it to detox her system. I have been taking PectaSol for many years. I am in excellent health. J. Brandy Bollinger - age 76. Since I have been taking Pectasol Detox Formula, I have been feeling less tired. I also have noticed that I can think better! After taking Pectasol, I could feel a difference next day. The bottle is almost finished and I'm convinced I have no more poisons in my system. An increase in general well being. I seem to sleep much better. I bought this because I had a discolor of my skin . I started using Pectasol and after 21 days the discolored spot disappeared almost completely. After 7 days the spot was cleared. This is proof to me that the product worked. This is my GO-TO solution to our heavy metal bombardment. I TAKE THIS DETOX FORMULA EVERYDAY AND LOVE IT. I DO FEEL BETTER, HAVE REGULAR BOWEL MOVEMENTS AND GREAT ENERGY ESPECIALLY SINCE I AM NOW A GRANDMA. My Son had to do few chelation to remove high level of mercury, Lead and arsenic, but level was still showing high and doctor wanted us to try one more chelation or start on Pectasol, We chose the latter. It is now two years and last blood work showed 0 mercury, 0 lead and 0 Arsenic!! The Detox Formula is working very well .It is part of the tapestry of keeping my body relatively fit and healthy. I love the studies which have demonstrated the wonderful detox ability of this product's ingredients and I take it every day. There couldn't be an easier way to make sure I stay healthy. Order and delivery was orderly, on time and professional. I am entirely satisfied with my order. For a few years I was waking up at 3 a.m. almost every night. I only took it a few days and I stopped waking up at 3 a.m.! I've already recommended this verbally to folks but this product is integral to a healthy lifestyle. Try it out for a gentle cleanse. Use it at least a few times a week. This product is far better than competing products -- the results were not the same. My doctor has had me on this for months and it is fantastic- assisting with detoxing the 'kill off' from my infection. We are constantly invaded by pesticides and bad air etc. on a daily basis. By taking Pectasol every day I make sure that these toxins are removed, so I can prevent serious illnesses caused by these toxins. I have been taking this since the time it was formulated by Dr. Issac. If I stop it , I'd feel insecure. It is for cellular health and to toss out toxins from the body. Pectasol should bind to the toxins in the blood and pass it out of the body by urine. Toxins can be release from the cells and build up in the organs unless they do what Pectasol is doing. After taking this product for about a week, I began to see results. Everything began to smooth out. My digestive system felt sooooo much better, I' ve lived for a couple of years w/ a dull constant ache in my back, which went away completely. Bladder leakage stopped. My only concern is, how long do I take it? I am out and my problems are coming back. These products are on the expensive side and I take several, so I just simply can't afford all of them for an extended period of time. I will, however, order another month or two. I was totally impressed with the results of this product. I could actually feel the detox happening. I have recommended it to friends who had tried other detox without recognizable results. I honestly felt that I lost toxins through my skin everyday. Amazing product! Never had such results with any other detox. And I feel so much better! Great product and really needed in this tainted food supply world we live in. I feel much better now since having used this product now in my 5th month. I believe it's important to just have every single day. I cannot get all organic produce where I live, so I have to use the regular ones or pesticides and hope this products eliminated it from my body. I have always felt bloated and right from the start this detox pill help me my bowel movements and the gastric bloat has also disappeared. It works well -- and gently! Of course, it makes me feel better too!!! I love that it is gentle but it really works! I call it a gentle giant! It really gets rid of metal toxicity. After doing much research on what works for eliminating as much as possible the effects of pesticide/herbicide contamination, I found this product was recommended many times. As I'm in the country that sort of depends on these products for cleaning fence lines, etc. I will continue use, not just for the products mentioned, but because we live in a contaminated environment. I take two capsules at bed time and the next day I feel great. If I miss a night, I can tell the difference.!! been using Pectasol for several years now. It is not something that suddenly makes you feel better but instead helps control toxins in the body. I started taking it when exposed to toxins in the city. Diesel, grime, mold. It's great to know I can excort it out of my body without a huge herx. I use it as well & feel so much more energized when using the product. We use it for about 2 months & then give ourselves a 6 month break from it. Even though I have dentures because of extensive silver fillings as a child I have tattooing on the gum and even a piece buried in the jawbone. When I use this I don't have the achiness at my jaw since I believe it controls the mercury seeping from it into my system. Because of where it is i'm told trying to locate and remove could destroy the jaw. I tried this supplement and it seems to hold at bay the toxic effects. Since using Pectasol, my leg pain has disappeared! Even when I eat a little gluten, I remain pain free. I strongly recommend this product as a safeguard for what is easily forgotten in our health care protocol, the presence of hidden toxic substances in our metabolisms. Chemotherapy & mercury have left me with way too many toxins. I usually am "out of commission " on the day after a massage, as plain water cannot clear what is released. Pectasol leaves me feeling great as it must clear the toxins. Thanks for giving me my life back! This product is far superior than any I have previously tried. Elimination was healthy and complete during each day. I knew my body was efficiently processing the food I ate and eliminating it like clockwork. I felt like a well tuned machine with the help of this product. Thank you Advanced Bionutritionals! Since taking two capsules each morning with a full glass of water, I have experienced regularity and a feeling of complete "emptiness" that leads me to believe the claims of Advanced Bionutritionals that this product is detoxing my body. I used Pectasol 6 years ago to detox from mercury. Was told that this product captures the metal as its drawn out of the organs and binds to it, thereby preventing re absorption. Will retest for metals in a few months but am fairly confident that this works safely. I have been very ill and am gradually recovering thanks to a good doctor, kinesiologist, diet and the right supplements. I had very high levels of mercury in my body as well as a high number of bad biofilms. I also have had a big exposure to wifi so I have EHS. The Pectasol Detox Formula played (and continues to do so) a critical role in helping me to get rid of the toxins. Thank you! 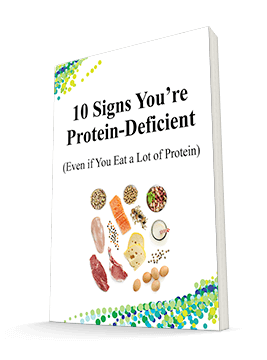 I have been using this supplement for several years. I would not want to be without it & hope it is never changed or discontinued. Prior to taking PectaSol Detox Formula, I had undergone several tests (hair analysis, 12 hour urine tests) to determine the levels of heavy metals in my system. The level of mercury in my system was always off the charts. After about 6 months of using this product, I had the urine test done again to see where I was at with the mercury & was expecting the amount to still be high. My doctor & I were elated that the level had gone down so much as to no longer be a concern! I had done nothing else that could have brought about that result. Thank you, Advanced Bionutritionals, for offering such a wonderful supplement. Five years ago, I have had a vaccine for rabies. I also exposed to mercury from my training and practice long time ago. On top of that an amalgam filling I kept for some 30 years. All these exposures make me feel that I want to remove heavy metal(s). Since I use this product, my general health has been improved. I no longer catch cold as frequently. The Pectasol Detox Formula definitely works, there is visible difference in energy level and mental clarity after the cleansing/detox process. After a harrowing exposure to mold, and experiencing multiple health related issues, I was thrilled to learn about Pectasol. More importantly, thanks to Pectasol, I've experienced an incredible recovery! I've read that many times people who are exposed to mold, and like me have health issues, it get "brushed off" as a mystery disease and they consequently die. If sores don't heal, you are tired all the time, have problems breathing,etc. and live in a humid enviroment - get a mold expert in, and start to take Pectasol - it will probably save your life! Margaret Edell, R.D. This is by far the best supplement I've taken so far. I'm 84 years old and I feel so much better since taking it. I do not have a clue. If it is doing any good to my health and well being. Because no 3rd person( a physician ? or a M.D.?) had checked the heavy metal in my system.. (According to you) it supposed to get rid of heavy metal from my body. How do I tell by my own self? (I hope you're right when you said it will get rid the heavy metal in my system. I happened to believe to what you have said). John S.
I would use more of your products if they were not tablets. It has brought down my mercury levels (probably from dental amalgams which cannot be removed at this time) according to my NTP and my symptoms have improved - my fingers and palms were peeling and the skin was very sore and splitting. Now only fingertips are affected. I highly recommed Pectasol Detox Formula since it has proven to be effective. I had taken it a long time ago, then started treating my own drinking water... however with everything I have read recently decided it was a good idea to use it on top of the treatments to my own water because of toxins everywhere else. This is the only product and I have tried that works for the nerve endings in my feet. Most Dr. s just look at you and say we have nothing. Or send you to someone who just repeats what the last one did or said. (give me your money). My question is, What would it do for other nerve ending problems? 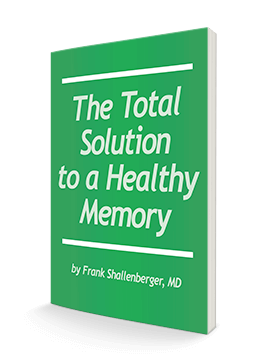 I have used this product for quite a few years and feel it is a worthwhile supplement. I assume that it's working as advertised. I do not seem to have any problem with any ingested substances and am regular. I have a new doctor and will ask his opinion on whether I am benefitting from Pectasol. Thanks, I did receive this product. What I can say is : I have taken one capsule to start, once daily, and I honestly feel there is an improvement in intestional functioning; motility is better everyday, I feel better. I've been using this product for a few years and will continue to do so. A forehead rash & lesions wouldn't clear up for about two years in the area of my temples and above the eyes. I felt that something toxic was trying to be ejected by my body. With continued Pectasol Detox use my face is clear with only occasional indications of recurrence around the right temple that do not last very long. I try to eat healthy but I have yet to determine the source of the problem. I will continue controlling it with your product as I believe it is also of benefit to me in other areas that I am not aware of. I believe the science concerning the chemicals in our environment & living in it. This product is the only one that I have found that adresses these (2) very harmful chemicals. Since I started PECTASOL, my blood pressure is within the new guidelines and usually ranges from 90 to 119. I am off my meds. Thanks Advanced Bionutritionals. It looks like the heavy metals are being detoxed from my body and allowing my blood vessels to have free flow again. At 86 years of age, I appreciate being able to go ballroom dancing with my beautiful ballerina wife once again. 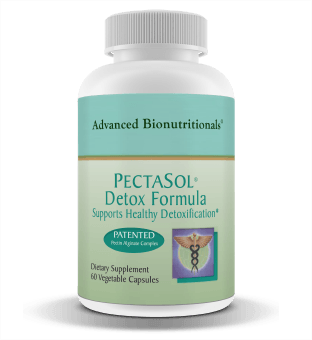 If you're looking for a good way to start off a detox, Pectasol Detox Formula is terrific. Every time when I feel like that I ate something wrong (which occurs very seldom though) and start getting stomach-ache or nausea I take 2 of Detox then within an hour or less I would be fine. But, since I've been taking other supplements daily, I cannot tell this effect happens exclusively due to by this product. I believe the reason I trusted Adv. Bio. Nut. was because I saw that Janet Zand was involved in the formulation of some of the products. I respect her as an Herbalist and I came to know her work when I was studying herbology in Boulder, CO. I don't like hype...I like that her perspective on the health effects of herbs made her part of the Ad. Bio. Nut. team. I would absolutely recommend this product to everyone. It is all natural and there is no bad ingredients in it. Have been happy with the results this supplement gave me in helping to remove Mercury from my body. I felt pretty good before using and about the same after, so I don't know what toxins may be gone. Anything to remove toxins is a good idea. I'll probably use again every few months. I think that Pectasol has been very helpful to me. At 80 years old, I have diarrhea during flare-ups. Since taking Pectasol, a truly gentle detox, I feel much better and seem to have flare-ups much less frequently. I have been taking it for about 3 months and will continue for about that much longer. I think it has helped to some extent in my lower body but I still have detox symptoms in my head area maybe not as bad but I can't tell for sure. So it hasn't been miraculous but I will see if there is more change. That is pretty much how I am affected by all supplements that I take. Haven't noticed that much improvement or change, but I intend to keep using it a while longer. I feel a little better, even I'd like to say that I feel much better, since I am taking other supplements from you. I know it is still early, but I am patient and disciplined and I hope to improve. What I most want is to have energy and sleep better. I am the perfect example of one of your articles related to the bad sleep..
After sixty years of toxins (tooth fillings, jewelry that is not gold nor silver, metal-based lotions & makeup, cleaning products, sprays for good smells to bad bugs, and on and on, I have struggled with slight to serious periods of time when I would just shut down. Going to bed and/or fading into the background was not an option while raising a family, changing careers with a current economy, socializing, etc., but it could not be avoided, at times. Was I nuts? Or just weird? I always felt like I was the only one with such symptoms. Now, I realize that I am not alone, and the Pectasol seems to be helping in my mental acuity, stamina, and memory. Also, my physical stamina is more steady. I am looking forward to more time to see results. My wife and I took this hoping that it will help detox heavy toxic metals from our body and regulate our bowel movements. If it works, we don't feel any significant difference in our bowel movement. Bought three bottles, now on the last one. I did not notice and change in health. I can not say anything negative or positive as I do not have any criteria to know if it is working. I am debating whether to reorder or not. I checked that I would not recommend this product because as I stated I do not know if it is working. Pectasol sounds like a good idea but I don't notice any difference after taking for about two months. Not getting colds however, yet. I'm old (80) with lots of joint and GI problems so I don't expect any miracles. I hope it's helping me detox, but frankly I haven't noticed any difference. Maybe it's because I'm already in good health. I have seen no improvement what so ever since taking this Advanced Bionutritionals. If I see no improvements after taking the last pill I will get an RNA number to return to you for a refund. Thank you for inquiring. I really can’t say that this product has made a difference in my digestive tract. I have taken it consistently since I received it, but nothing has changed. I've taken this twice a day as recommended and have experienced absolutely no effect. have taken it daily, but have noticed sofar nothing different in my body,. It may be early days yet. Starting my third bottle and don't see any improvement. I do have a lot more gas. Trying to decide how much longer i should. I noticed no improvemention in my overall health whatsoever. Support your body's detoxification process with this unique formula. It features PectaSol modified citrus pectin and alginate from seaweed. Both are made of soluble fibers that help trap toxins and assist your body in eliminating them from your body.